So what this means is that the skin care industry is currently not required to fully disclose all of the ingredients in their products. This is 100% not okay with us. We, at Annmarie Skin Care, believe in full transparency when it comes to the ingredients we put in our products. We feel everyone deserves the right to know exactly what they are putting on their skin so they can make an informed decision of whether or not they want to purchase a product. “This is where companies should be—fully disclosing what’s in their products and using the safest ingredients as possible. Unfortunately the big name brands are far far from those principles,” says Stacy Malkin, co-founder for the Campaign for Safe Cosmetics. Companies who choose not to disclose every single ingredient are not doing you or the industry any favors and, in the worst cases, are participating in some pretty shady and deceptive behavior. It has been over 70 years since the Food, Drug and Cosmetics Act of 1938, the last time the law surrounding skin care changed. In 1973, Senator Thomas F. Eagleton sponsored bill S.863—Cosmetic Safety Act—a movement to amend 1938’s act with respect to cosmetic safety. If this would have passed, it would have required clear, honest labeling and precise information about a product’s registration and safety. But despite three attempts (1973, 1975, and 1977), this bill failed to become law and gave way to nearly thirty years of an industry that was essentially policing itself. With little or no government oversight, the cosmetics and skin care industries operated with few rules and compromised ethics. Good news is that in the last decade, the Campaign for Safe Cosmetics has been working to reform cosmetic standards. They started in 2002, and in 2012, three bills for cosmetic safety were introduced. The movement for safe skin care and body products has gained a lot of attention over the past several years, due in part to the introduction of more and more toxic chemicals. This is a movement that we strongly support. What’s an even dirtier secret? We can only speculate, but here are a few possible reasons. First, some companies want to profit on the growing natural and organic market and just don’t care about you as much as they care about their bottom line. Second, many companies are lazy and haven’t taken the time to study some of the natural properties of their ingredients and learn the synergies and combinations that make great natural skin care effective. Instead they settle for the accepted standard industry norms, which usually entails the use of chemical preservatives and other nasty stuff. And finally, some companies have good intentions, but like above, haven’t been able to find the right natural combination of herbs, oils, and extracts to create natural products that are effective and have an acceptable shelf life. Everything we put in each product is right on the label. We are proud of all of our ingredients so of course we want you to know everything that is inside. 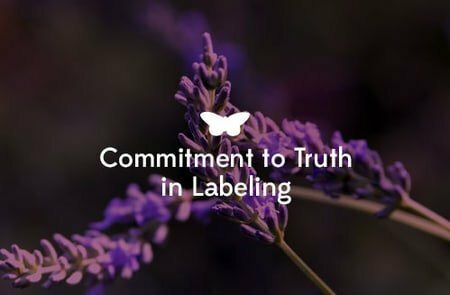 From the base ingredients of herb infused oils or aloe vera all the way to our natural preservatives like grapefruit seed extract and rosemary extract, truth in labeling is our practice. First, it is the right thing to do. Second, because we’re just like you. We want to know what we’re putting on our skin, too. When you purchase an Annmarie Skin Care product, you can be assured that you’ve chosen not only a great, effective, natural product, but you’ve also joined us in our mission to create more honesty and transparency in the entire skin care industry.